What isn’t working when it comes to your current situation? Where do you want to be in 5 or 10 years from now? Some thought promoters on helping you with question 2, What’s important to you? You are thinking about setting up a house that your family can grow into for the years to come? You want to live in a particular suburb? You want to be close to your in-laws. You want to be closer to work. You don’t care so much as to where you live? You are saving for retirement? You are planning to live overseas in the next 12 months? You want to build more equity? You are thinking about Airbnb to create a second/third income? You are want to build your property portfolio? You are thinking about having a sea-change? You want to homeschool your kids? You want to live close to your sporting club? You want a big house? You want easy access to CBD? You would like to get on the tools and do the renovation? You want to make lots of money? You don’t know what you want??? Firstly, maybe think about how you could do both. Your current finances would need to allow for this to happen, but before having to choose, ask the question and do your analysis on whether doing both is feasible. If you have to choose, just note that genuinely speaking, renovations may provide short term living comforts, property investing could provide long term financial comforts. When going into most renovations you want to ensure it leads to an increase in value. If this is the case a mortgage lender may allow you to the ‘created’ equity on an investment purchase. Work this through with your mortgage broker. Make sure they have personal experience buying properties and can exploit all options with you. Great if you watch The Block but don’t be misled into thinking it’s a piece of cake. If you decide to renovate and have had no prior experience, two works? ?, GET HELP! Don’t do it alone. It can become the longest most painful project of your life. You may think you are saving money, but if time is money, you will come unstuck. Also there is the chance you may get injured or run over budget. Get the experts – project manager and builders – and leave it with them. 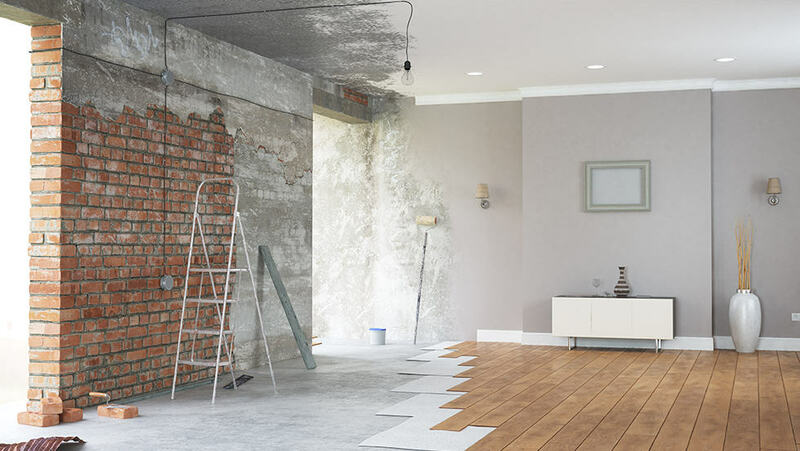 Make allowance in your budget for renting while the renovation is taking place. Do the numbers on renovation versus knock-down and rebuild? The knock-down and rebuild sounds like a bigger job but it might not actually be a bigger job and return a better price value overall. US Property – Worth Playing Your Trump Card?